I’ve had my students working on a little exercise this week. It’s simple and I know that a lot of teachers use similar projects. The idea is to build a triangle or in this case two of them. You can see what I am looking for on the right. Now as long as I have seen this project I have always used nested loops to generate the triangles. The outer loop controls the rows and the inner loop the columns. It’s a pretty natural way of thinking especially when it comes in the middle of a unit on loops in a first course. As far as I can recall all of my students have solved this the same basic way – nested loops. Today I was trying to help a struggling student and realized that there was a way without nested loops. Well it turns out there are several ways one can do this. At least one depends on knowing about some methods built in to the string class in the .NET platform. Other ways should be easily determined by beginners so I’ll not go into that here. Besides, that is not the point of this post. The point is that it is easy to get into ruts. Easy to fall into the same old solution time after time even as we add more tools to our toolbox. From time to time it is helpful to step back and look at old problems with new eyes. Grace Hopper used to promise her audiences that if they ever said “we’ve always done it that way” she would appear and haunt them. I can’t hear that phrase without thinking of her so I guess she was serious. I wonder what other old projects I should be taking a new look at? Code.org announced a set of videos about “How the Internet works.” today. This set of short (6-7 minutes long) videos explain many of the key concepts that make the Internet work. Lots of graphics and narration by engineers from some of the big high tech companies and some real computer pioneers – Vint Cerf for the win! Presenters are very diverse as well which I see as a huge positive. They're very well done. I’ll be using them with my students. Code.org has a library of videos for teaching computer science with still more videos. Still a lot of news going on about New York City's plans as well as other places also looking at adding more computer science education. It seems like more and more people and places are jumping on the bandwagon. It will be interesting to see who pulls off what. And how well it works. Speaking of how well it works. Let’s start off with some news from code.org. Code.org ’s program evaluation is available in summary. It shows some promising results and some challenges http://blog.code.org/post/129570949752/codeorgs-program-evaluation-promising-results Worth a read. Short answer: Adding more CS is not easy and it can be expensive. But it is doable with the right support. Now a couple of posts about New York City. The first is a bit pessimistic while the second one from someone deeply involved is a bit more upbeat. 2015 Faces of Computing contest underway! Upload your video entries by November 7 for a chance to win! Virtual BBC Micro:Bit Now in Beta – lots of resources for teachers who are going to be getting these cool little devices for their classroom. Plus something to play with for those of us who are curious about them. Australia will teach coding in schools, with a new update to the national curriculum! Will the US keep up nationally or just in some areas? How many times have we heard it said “with great power comes great responsibility.” Have you read about the scandal with Volkswagen where they used software tricks to dupe emissions tests? As my friend Jim Huggins pointed out on Facebook, this scandal was possible because software developers were asked to do something unethical (and probably illegal) and agreed to do it. One tends to wonder how anyone thought this sort of fraud was appropriate of course. But among the people who had to be in on it were software developers. This underlines, to me at least, that we need to talk about ethical behavior in computer science. There is so much wrong that can be done so easily in software these days that we need people who can resist the temptation to do so. Curious about the BBC MicroBit? There is a new web site about it that includes a virtual Micro:bit computer. There are tutorials and videos and various other bits and bobs of information at the site as well. Last week Microsoft CEO Satya Nadella announced a $75 million commitment to increase their YouthSpark program to increase access to computer science for all youth worldwide. A big part of that in the US is apparently an expansion of the TEALS program.”TEALS (Technology Education and Literacy in Schools) program brings computer science education to high school students and teachers.” and it has long had support from Brad Smith, Microsoft President and Chief Legal Officer. TEALS is a great program that puts software professional in classrooms with experienced teachers. The teachers help the software people teach and the teachers help prepare to teach CS themselves. It’s sort of two programs in one and seems to have some great success. Global philanthropic investments with nonprofits in 80 countries, including the Center for Digital Inclusion in Latin America, Silatech in the Middle East and Africa, CoderDojo Foundation in Europe, YCAB Foundation in Asia, and many others, will deliver a range of computing skills from digital literacy to computer science education to youth in local communities around the world. Microsoft Imagine connects students with the tools, resources and experiences they need to turn their innovative ideas into reality. Whether it’s building a game or designing an app, Microsoft Imagine makes learning to code easy and accessible for students and educators, no matter their age or skill level and at no cost. Whether it’s free cloud services like Azure, online competitions via Imagine Cup that educators can incorporate into their curriculum, or fun self-serve learning tutorials, Microsoft Imagine helps bring a student’s technology passion to life through computer science. YouthSpark Hub resources are designed to inspire youth about the full spectrum of computing skills, ranging from digital literacy to computer science engineering. In addition to providing access to the Microsoft Imagine tools, the YouthSpark Hub brings together opportunities to participate in activities such as DigiGirlz and YouthSpark Live, attend free YouthSpark Camps at the Microsoft Stores, and access training through nonprofit organizations supported by Microsoft around the world. A lot of this has been going on for a while. I wonder if this announcement in incremental increase of the cost of what has been going on to continue. Yes, I’m a bit more skeptical these days. It seems to me there used to be more resources for CS teachers from Microsoft The faculty connection (there used to be a high school specific section of that) seems to be gone. That used to me my “go to place” to send teachers for teaching resources. DreamSpark is still around but doesn’t seem to be promoted as much. Honestly with Visual Studio Community edition and free editions of Microsoft Expression Web it’s not as necessary as it once was though. The curriculum resources are harder to find though. I miss there being a person at Microsoft whose job it was to help HS CS teachers. It doesn’t have to be me (been there, done that, have a box of t-shirts) but it would be nice if there was an easily identifiable person or better yet team we could go to for help. I miss that. Yet another interesting curriculum program. This one a pilot program by the College Board. Versions of a service oriented curriculum for six AP courses including Advanced Placement Computer Science A.
I went into the other computer lab today to get some paper for my lab’s printer. The Advanced Placement Computer Science class was in there at the time. Most of the people there took my Honors Programming class last year. One of the students asked me “Mr. Thompson why didn’t you teach us about the switch statement last year?” He went on to say it would have made his end of semester project easier. It’s a fair question. The answer is that it was a one semester course and there is no way I can fit everything about programming into that short amount of time. So I didn’t spend time explaining switch statements. They are powerful tools of course but while simple to use once one understands them they can be complicated as well. The student is going to discover a lot of things in his full year APCSA course that I didn’t teach him last year. I hope so or what would be the point of APCS? This sort of thing is a tricky part of teaching computer science. The Computer Science Curricula 2013 for undergraduate education lists more things than could ever fit in a four year college curriculum. Clearly we can’t teach it all in one semester in high school. What we can do (or attempt) is to provide a base for additional learning. Teachers constantly get the “how do I” question from students who want to learn something that is not in the curriculum. This is wonderful and frightening at the same time. We want to help students learn but we still have to fit in the things we have decided (in our infinite wisdom) they need to know. Mostly what we do is point them at resources. A textbook, a website, someone who knows things already, and more. I have a couple of documents I have written that are “how to” about things I get asked about regularly. There is still no room to fit them in formally because there are other things that have a higher priority. For the students who understand things quickly and want to go farther this “extra” learning helps keep interest and motivation high. I never want to hold a student back. When a student wants to learn something how can a teacher not help them? Really though I wish I had a full year course. Or several full year courses. Not going to happen of course but a teacher can dream. As a member of the CSTA Equity Committee I am please to pass along the announcement of our annual Faces of Computing Competition. 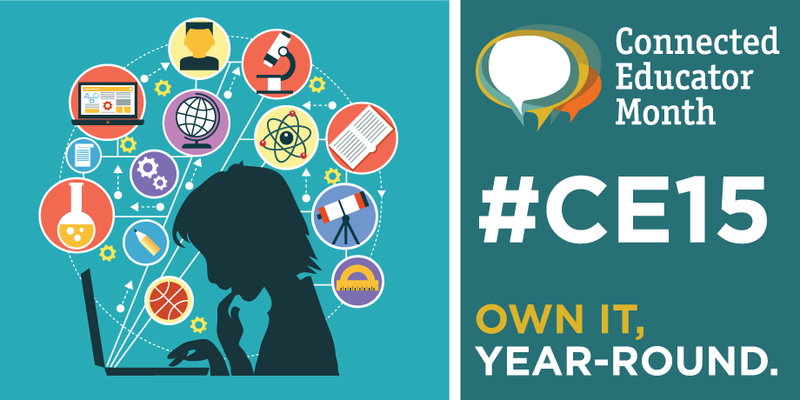 In honor of CSEdWeek, CSTA will be hosting its annual video competition. This year's theme will be "Computing for the Common Good." We are encouraging entries to show groups of students showcasing how computing is used to better the world. 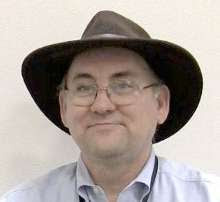 The video could promote their schools' computer science program and the ways it works to teach computing for good; it could demonstrate a potential or completed computer science project that exemplifies the theme; or it could highlight existing ways that computing is a force for good in any field. Another area to consider is volunteering in a way that involves computing. For example, maybe you work on a Wikipedia project or work with a non-profit on their website or managing data. These, too, can be included in the theme of Computing for the Common Good. The format of the video can be a commercial, a trailer, a public service announcement, or simply informational. Need inspiration? Check out Mina Theofilatou's blog post on creating projects that contribute to helping others. She writes about the impact computing has on the medical field and on ways it can contribute to humanitarian efforts such as feeding people. She also wrote about a mobile app to help young people who get lost and need help getting home. These are great examples of ways computing can be put to use in ways that contribute something significant to society. I found this on a mailing list last week. I haven’t looked to closely at it since we haven’t decided to go with AP CSP at my school yet but it sounds interesting. In my opinion, it's about as fun, friendly and accessible as any APCS course can get. I got an NSF funded mini-grant through Bryn Mawr College and Southern Methodist University and to develop, teach and share this course. I've been using Processing to teach APCS since the 2008-2009 school year, so the projects are all classroom tested and ready to use. If you are not familiar with Processing, check out http://processing.org. Processing is a beginner friendly Java programming environment with many easy to use graphics tools. It's also become quite popular in "maker culture." Minimal configuration and easy to use software. You could teach it on chromebooks if you had to, and you don't need to have Administrator privileges to install Processing on your school's computers. Open ended projects that encourage creativity. This helps classroom management as students are motivated to add features to their programs, even if they have completed all the required parts. Students leave the course with a portfolio of their work on GitHub, a recognized professional tool and industry standard. If you are interested, I'd encourage you to work through the sample assignment that demonstrates the basic workflow. If you are still interested, check out the chemotaxis project which models how biologists use random walks to study how organisms look for food. Each project comes with a README with specific instructions, as well as links to samples of student work. There are also links to voluminous PowerPoint presentations that cover the APCS topics that the particular project is meant to address. So check out http://apcslowell.github.io and help yourself to anything that interests you. Email me a copy of your faculty id on your official school email, and I can send you some quizzes as well. Don't hesitate to ask if you've got any questions. Last week was fun. I have great students. One thing I did this week was to create a scaffold program for my Honors Programming students. Just a basic user interface so what we could focus on the code behind – specifically if statements. I had it all done when I realized I had created a Visual Basic project for students who would be programming in C#. Whoops! Fortunately in Visual Studio I can copy one form and its objects into a form in a project written in a different language so I didn’t lose much time. This is just the sort of error I warn students about. Rushing is bad. So take some time to look though this list. And remember this is Connected Educator Month. How are you connecting with other educators? End of Summer Fun with FunSharp (Channel 9) Some I’m still trying to find time to learn all about it. For Arkansas computer science educators there is a Computer Science Leadership Summit October 8 Wish I could be there. Just for fun - Computer Science Courses that Don't Exist, But Should what do you think? Any to add? How Young Should We Start Teaching Computer Science? The Kickstarter campaign has raised almost half of its funding goal. Stretch goals include two more books in the Computer Science for Babies series—Counting in Binary for Toddlers and Functions for Tots, both targeted at older children. Next up is a new project for buildable programmable robots for students as young as 5. StartRobo is launching their Kickstarter "soon." They have a cool YouTube video. But I wonder – do we really need to start this young? And even if we do will these tools make a difference? This is a new one to me but it looks interesting. I like that it runs down to grades lower than high school. In 2014, almost a million participants across 34 countries participated in the Bebras Computing Challenge. 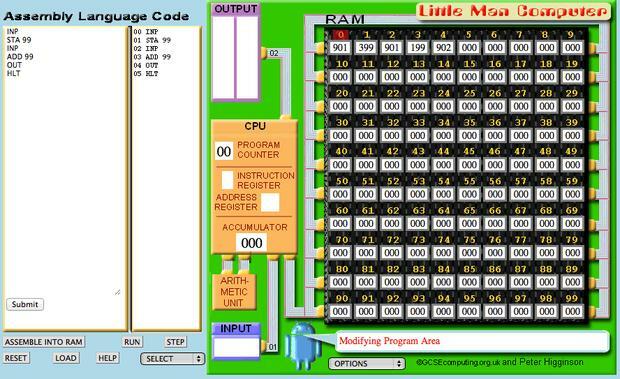 It's a free quiz that requires no studying or preparation, and showcases the key computing concepts to participants. This year, it's available between 9 - 20 November and sports an entirely new set of fascinating challenges. The Bebras Challenge is a fun, online event that lets participants apply logical and computational thinking to solve 15 different tasks within 45 minutes. It demonstrates how integrated computing concepts are in our daily lives -- it might even motivate some students to pursue the field. Each student gets a score and a certificate, which the teacher can download together with an answer sheet for a classroom discussion of the tasks. Everyone in grades 5-12 can participate, regardless of whether or not they have strong interest or skills in math, science, or computing. There are four different challenges with varied-difficulty and age appropriate tasks to make the challenge a fun experience for everyone. Students can participate on any time in the given two weeks and only need a browser or a computer or tablet with an internet connection. No special setup is required. Give one (or even all four) a try and see what you think! I found this on the Internet today via Twitter. It works. Well more or less. I can imagine cases where it might not but they include other problems. It’s not very efficient. A simple bit of code like this should do the trick with a lot less effort. It also avoids the horrible memory link of a malloc without a corresponding free to give the memory back. Yes, the example is in C and not one of those cool languages with garbage collection. These sorts of solutions appeal to some beginners. When I shared this I heard from people who have seen similar code for things like separating characters in a number. Why do they do things like this? Mostly it is because they don’t know better. That doesn’t mean they may not know other tools so much as it means they don’t know how to apply the tools they do know. So they look for solutions and grab the first one they find. Often students will argue that “it works” means something should get full credit. The rubric I’m using this year (borrowed from Harvard’s CS50 course) includes an explicit look on how efficient the solution is. I want to encourage students to look beyond the first solution they come up with and think about efficiency. Labor Day weekend in the US. A four day weekend and I am exhausted from it. Maybe I need to get back to school to rest up. OK not really but it has been a busy weekend. Lots to do around the house as well as some quality time with my son on golf courses. Plus – bonus – some good time with my grandson. Fortunately I collected links before the weekend started. NCWIT Aspirations in Computing 2016 for US HS Girls interested in computing and technology. Last week I added blogs to my Computer Science Education blog roll including @AJudkis @AngelaYake @KTOCompSci @kellytechclass These are teachers from the pilot adapting Harvard’s CS50 course to AP CS Principles. Troll- Shane Koyczan https://youtu.be/670if6Etx0o This is a powerful animated reading of a poem about Internet trolls. Building your own Windows 10 Web Browser It’s easier than you might think. Maybe a good way to motivate some students. Coding for the Common Core: 15 iPad Coding Apps for K-5+ I think I have most of these listed elsewhere but there are some that are new to me. This is not your ordinary high school CS student prize. “Four winners will be selected annually and each will be awarded a $10,000 prize and cost of travel to the annual ACM/CSTA Cutler-Bell Prize in High School Computing Reception where students will demonstrate their programs and discuss their work.” This is for extra ordinary students who are doing things well beyond classroom assignments. CSTA is pleased to announce that we are now accepting applicants for a new award aimed at recognizing talented high school students in computer science. The ACM/CSTA Cutler-Bell Prize in High School Computing seeks to promote and encourage the field of computer science, as well as to empower young and aspiring learners to pursue computing challenges outside of the traditional classroom environment. Four winners will be selected annually and each will be awarded a $10,000 prize and cost of travel to the annual ACM/CSTA Cutler-Bell Prize in High School Computing Reception where students will demonstrate their programs and discuss their work. The prizes will be funded by a $1 million endowment established by David Cutler and Gordon Bell. The application for the Cutler-Bell Prize is available now and will close on January 1, 2016. The inaugural awards will be announced in February or March of 2016. It seems like I just got back from the 2015 CSTA Annual Conference but time marches on and the call for proposals for next summer’s conference was just released. I’ve presented a number of times over the years and presenting there is a great experience. Why? The audience is really engaged and interested in improving their teaching practice. I encourage people who are doing interesting things to propose a session. 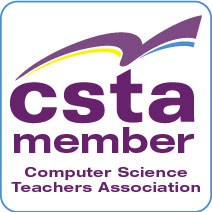 The Computer Science Teachers Association (CSTA) invites you to participate in the 16th Annual CSTA Conference. This event will be held July 10-12, 2016, in San Diego, California. All proposals will be submitted through the online conference submission system that can be found at https://www.softconf.com/h/csta2016/.If you encounter a problem with the submission system, please contact Tammy Pirmann at submissions@csta-hq.org. Successful proposers should expect to be asked to submit a draft copy of their presentation by May 10, 2016. Draft presentations will be posted on the website for attendee reference and note-taking. All final presentations will be gathered by room proctors at the end of each session. Some sessions may be selected for videotaping, which will be shared online post conference. All workshops and sessions will be photographed. "Best session and workshops I've ever attended at CSTA conference!" "This was my first year as a CS teacher, and I've heard a number of good ideas that I'm excited to research further and implement in my classroom"
"CSTA has very welcoming presenters, participants and volunteers"
"Excellent conference! Very informative and exciting!" "Networking opportunities and new friendships are invaluable! 'Best conference value for my PD dollars that I have found to date!" The deadline for proposals is midnight (Hawaiian time) on October 1, 2015. It’s that time again! Visit the website at https://www.aspirations.org/ for more information but I have included some details to get you thinking. Applications for the 2016 Award for Aspirations in Computing are open from September 1 to October 26, 2015 (8:00 p.m. EDT). The NCWIT Award for Aspirations in Computing honors high school women who are active and interested in computing and technology, and encourages them to pursue their passions. This multi-tiered competition includes recognition at the national level (sponsored by Bank of America) and at the local level (sponsored by Microsoft), serving 50 states, the District of Columbia, Puerto Rico, and the U.S. Virgin Islands, and all U.S. military bases overseas. Each local award taps into the powerful network of NCWIT Alliance members: teams from academia, non-profit organizations, startups, and corporations come together to build a community of support for young women interested in computing. Aspirations Award recipients are chosen for their outstanding aptitude and interest in computing, proven leadership ability, academic performance, and plans for post‑secondary education. There is a category for educators as well.